The solution to drum rotation, if the drums you are using are of a mixed variety. 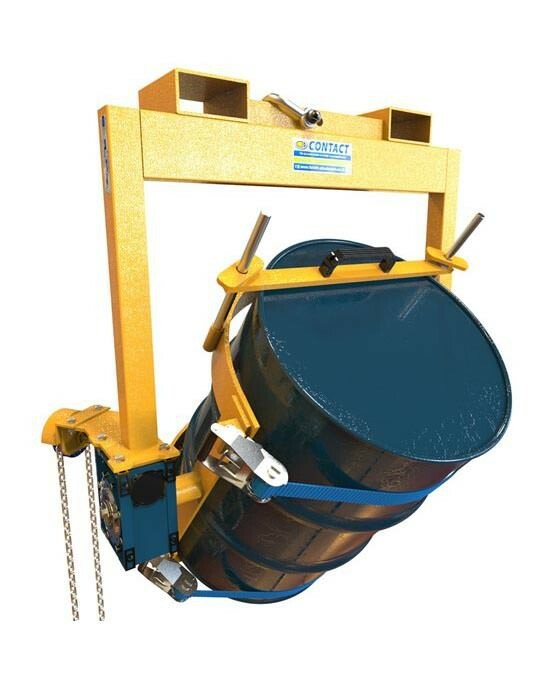 This drum rotator will handle any type of drum including fibre, plastic or steel, in 210 litre sizes. The platform of the drum rotator ensures flexible sided drums do not slip during the rotation cycle. Versatile in use, this particular drum rotator can be used with both a forklift truck or an overhead crane. 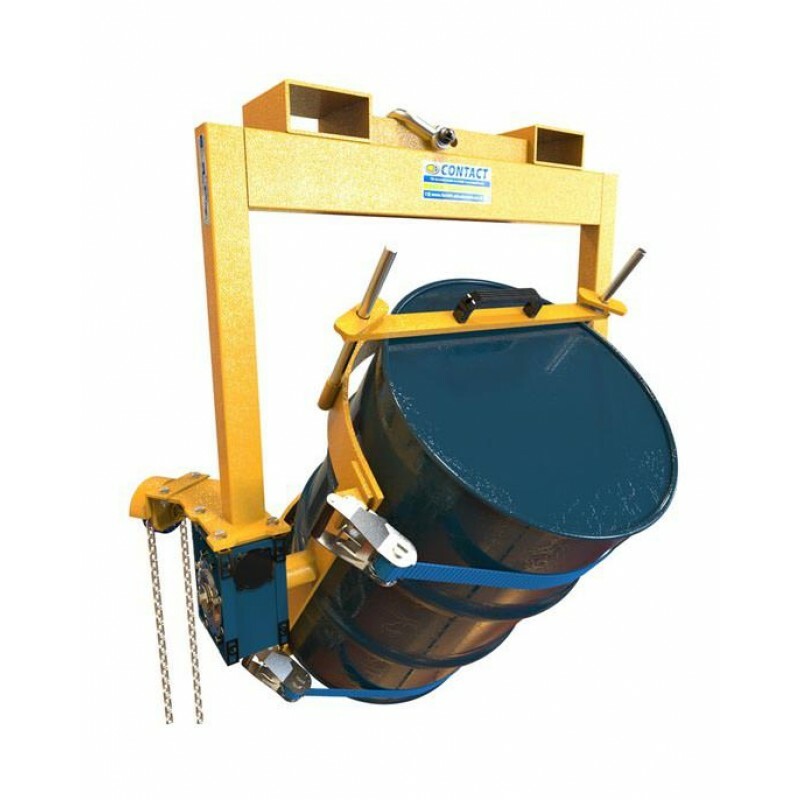 With a high quality gear box connected to a loop chain for over head height rotation, the drum tipper will allow drums to be rotated through 360 degrees with minimal effort. 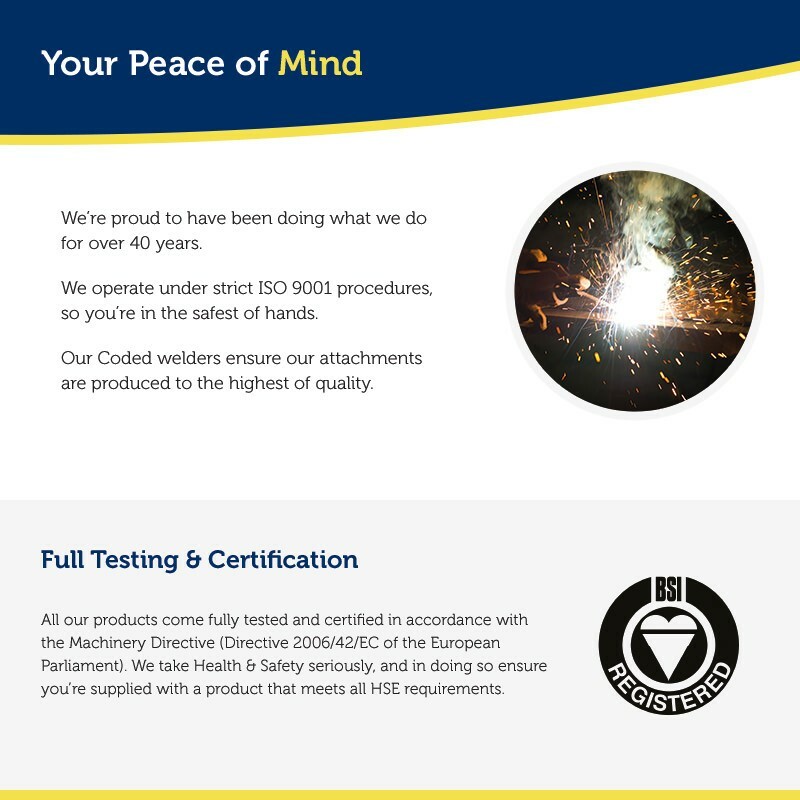 Like all our forklift attachments, the crane slung drum rotator will come fully tested and certified to comply with the latest Health & Safety Regulations.